We love great craft beer. Know what we love more than that? Great craft beer at a great price. 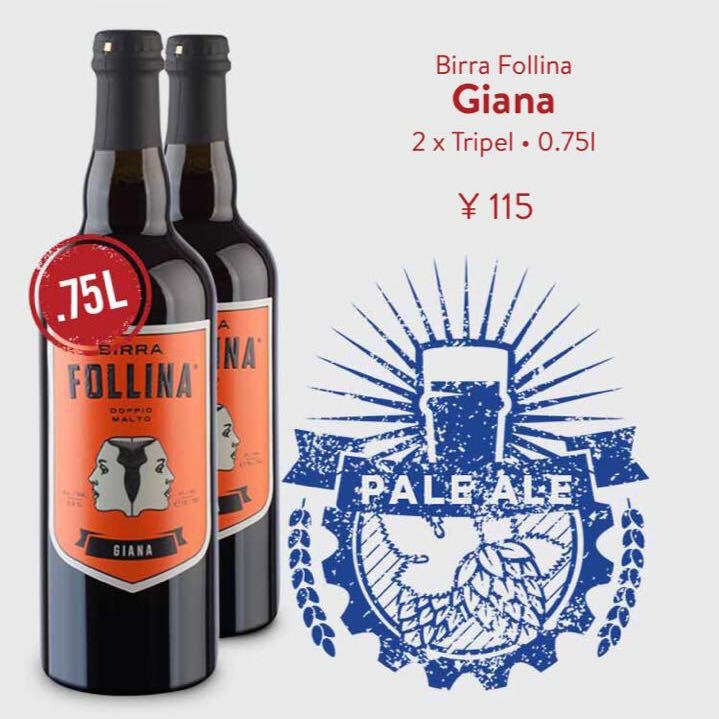 That’s why we’re offering new double-packs of extra-large Italian craft brews from Birra Follina. Starting at just ¥105 for two, they’re available now in Shanghai and Suzhou for instant delivery. A classic, refreshing unfiltered Belgian-style Saison ale with rich, fruity aromas. 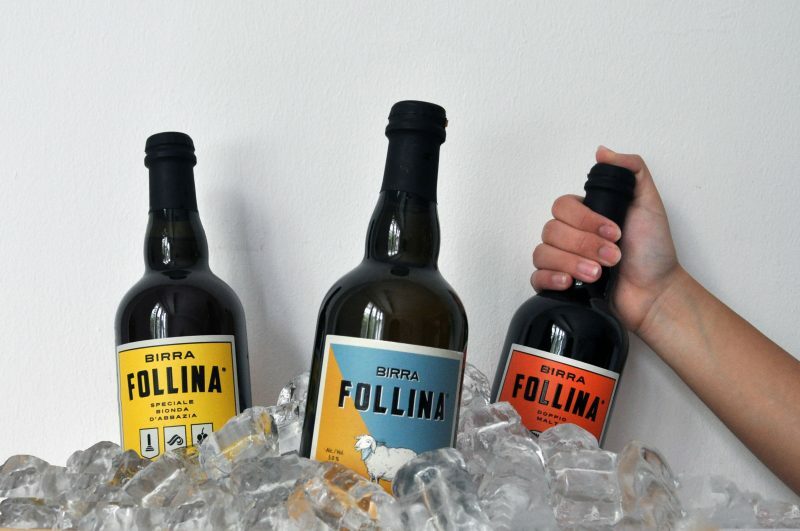 Follina, the small ancient town in Treviso from which the Birra Follina brewery takes its name, has a centuries-old tradition of producing high quality wool and silk. 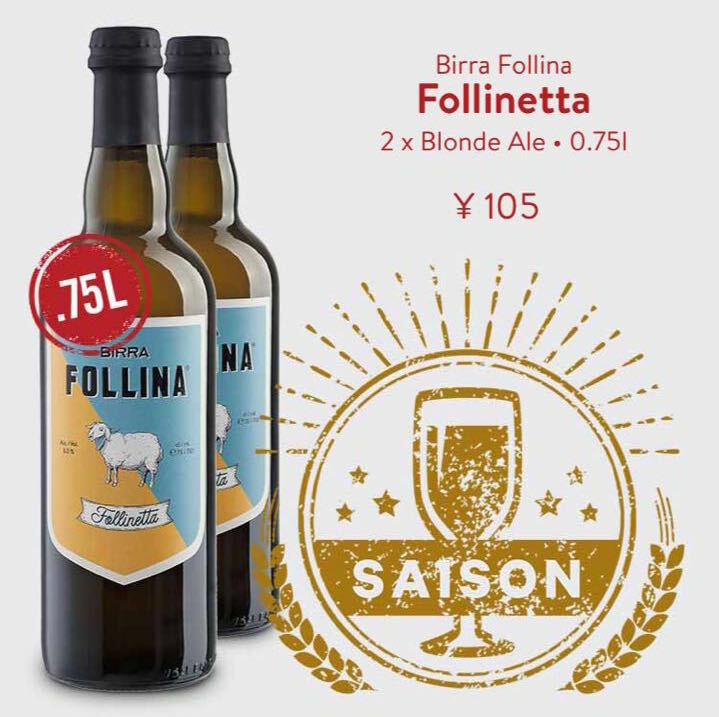 The crisp, refreshing Follinetta is the brewery’s tribute to that history, from the label to the classic beer behind in it. A blonde ale with pronounced flavors of barley and a slight, appealing bitterness. 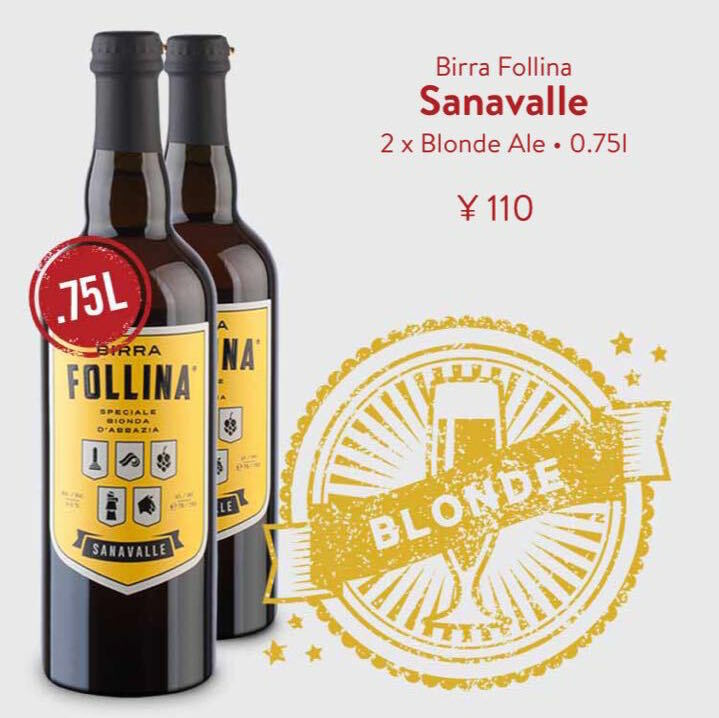 Birra Follina named the beer after its own home; “Sanavalle” means “healthy valley” in Italian and is the ancient name of the area. A fitting name for a beer that aims to channel the traditions and beauty of the region is hails from. A strong and rich unfiltered double-malt Italian ale with plenty of character. It is made with a carefully selected blend of malts and named for the Roman god Gioano, guardian of change and the cycles of life. Italian poet and writer Valentino Zeichen suggested the name and also inspired the beautiful art on the label. Giovanni Gregoletto comes from a long line of winemakers. He’s even published numerous books on the subject. But, since 1992, he has dreamed of creating craft beer. So, along with cofounder, machinery expert and relative Giovanni, brewing technician Elio Poloniato and master brewer Luca, in 2012 Giovanni finally brought his dream to life. His small family brewery’s portfolio is a collection of artisanal brews mostly inspired by the beers of Belgium but infused with the character of Italy. 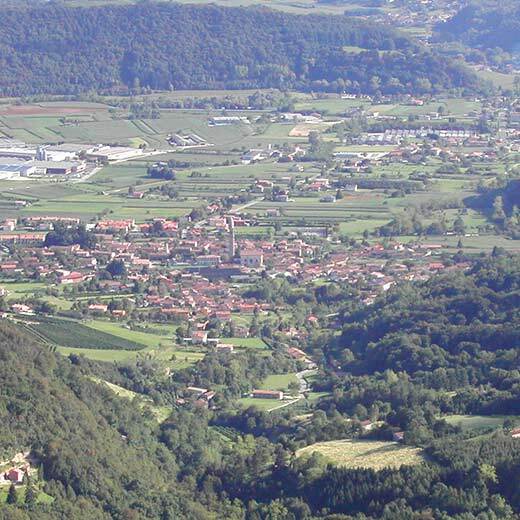 Follina is also the name of one of the country’s smallest rivers – the brewery sits right by its source. The river Follina’s crystal clear water, along with carefully selected malts, hops and modern technology, are what allows the brewery to produce delicious, unique beers that channel their home with vibrant personality. To start saving on these epic craft brews, download the BottlesXO wine and beer delivery app here.